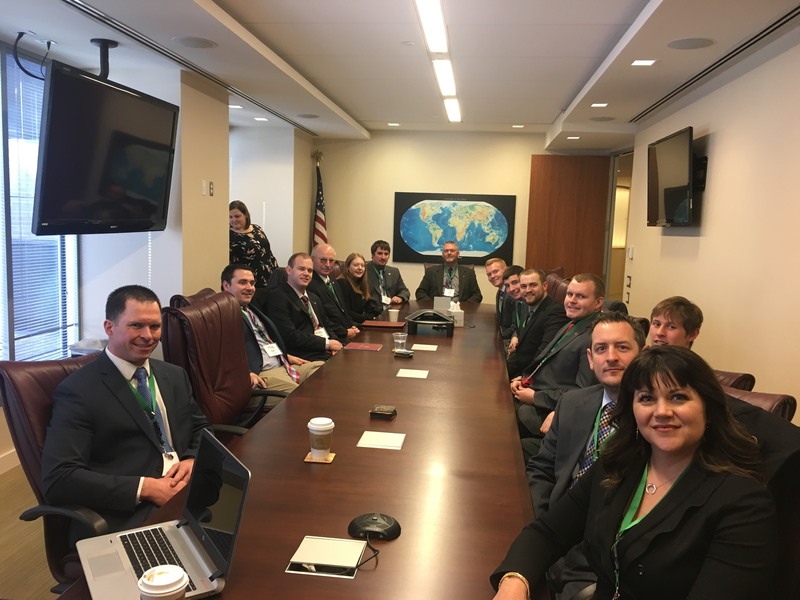 Each year the Nebraska Corn Growers Association takes a group of members to Washington D.C. to participate in the Washington D.C. Leadership Mission. This mission is a way for members who are looking to get more involved, or are just starting out, to get an in depth look at the work the association does. In 2019 the mission trip will take place March 11th through the 15th. Attendees can expect to visit with their elected officials, the National Corn Growers Association, the US Grains Council, and other cooperators. The mission trip is also a great chance for attendees to visit with members from across the state and form lifelong friendships. Applications are due by January 11th to mwrich@necga.org. Spouses who are interested in learning more about the association are also encouraged to attend. Questions? Please call the office at (402) 438-6459 or email Morgan Wrich, Director of Grower Services, at mwrich@necga.org.